It just so happens that many people are not sure what type of products they need or how the features of a specific product can help solve the problems they experience – with their bicycle of course. Taking this into consideration it seemed obvious that we can help out by providing information and key points in the thinking and design that goes into our products and how we have addressed some of problems cyclists commonly run into. Starting things off I thought we would look at the Streamliner Road DLX. Let’s say you have a road bike sitting at home, now imagine that you have decided that this bike would make a great commuter, or maybe you don’t want to buy a second bike to use a dedicated commuter because you have this perfectly good road bike. You don’t want to wear a backpack or a messenger bag so a pannier rack with bags seems to make the most sense for you. You start your research and run into some roadblocks. The rack mounts to the rear Quick Release and the brake caliper; you can even use it on a frame with carbon stays. It is really simple to install and remove so you can put it on for your commute and take it off for your weekend road ride. The mounting feet set the rack back 4cm or about 1.5” behind the rear axle to give you plenty of heel clearance. We’ve had people put it on all types of bicycles to gain extra clearance. Enough people asked for us to include the set back mounting on other racks that this year we introduced the Streamliner Disc DLX. 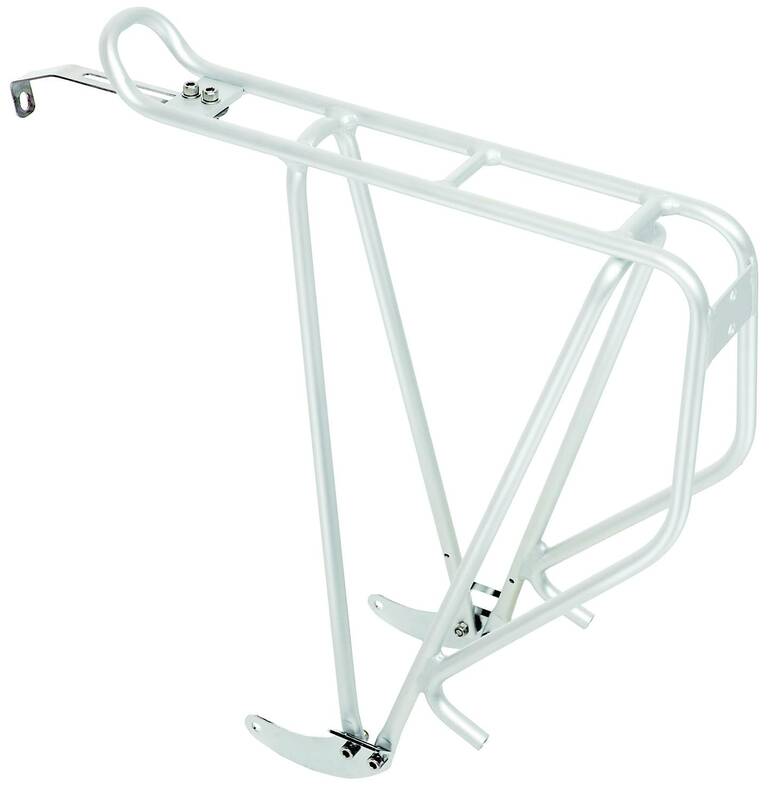 The platform of this rack is as narrow as possible so that it keeps the weight of your panniers as close to the wheel as possible; ensuring you maintain solid performance from your road bike. You’ll still know there are panniers on the back but we have minimized how it will affect your ride. Put all of these together and you have a low profile rack that can be mounted on a road bike and minimizes the effect of carrying heavy loads on a pannier rack. 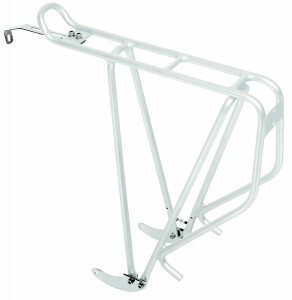 So if you have a road bike and are thinking about using it for commuting this is your rack.